"Musiq" redirects here. For the electronic musician μ-Ziq, see Mike Paradinas. Taalib Johnson, professionally known as Musiq Soulchild or simply Musiq (/ˈmjuːsɪk/; born September 16, 1977) is an American singer and songwriter whose style blends R&B, funk, blues, jazz, gospel influences fused with hip hop. Musiq was born in Philadelphia, Pennsylvania and raised in a strict Muslim household. During his teenage years he built a reputation for being musically gifted, beat boxing for MCs free styling on the open mic circuit, scatting at jazz clubs or just performing an a cappella for strangers on the streets, which is where he got the name "Musiq" and later added "Soulchild". He cites as his inspiration such icons as Marvin Gaye, Stevie Wonder, and Donny Hathaway as his most influential musical icons. He dropped out of high school to pursue a career in music. "There were people who knew of me but they didn't really know me; they just knew me as 'that music dude.' So after getting that so much, I was like 'Just call me Musiq.' It was so fresh to me because if I had to be called anything, I would have wanted to be called Music. That's how much I dug it; when you see me, I want you to automatically think of music. The stage name "Musiq Soulchild" is technically two ideas. 'Musiq' is the front man and 'Soulchild' is the idea behind it. It's basically me as an artist in this generation, representing the traditions and the legacies of the past soul stars." 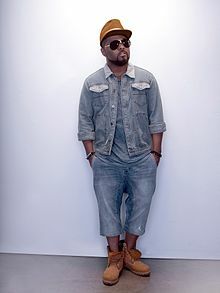 Musiq's second album, 2002's Juslisen, debuted at number 1 on the Billboard 200 and went platinum; it also debuted number one on the R&B/Hip-Hop Albums and all-genre Billboard 200 charts. The singles were "Halfcrazy" and "Dontchange", which were top tens. In 2003, Musiq released his third album, Soulstar, which went gold. It included the singles "Forthenight" and "Whoknows". In March 2007, Musiq's released his fourth album Luvanmusiq. Its singles were "B.U.D.D.Y.". an uptempo track, "Teachme", and "Makeyouhappy". In May 2010, he changed management to Victor Grieg. His last album for Atlantic MusiqInTheMagiq was released on May 3, 2011, available on CDs and also as a digital download. The first single was "Anything" featuring Swizz Beatz, followed by "Yes". In September 2013, he released a duet album with Syleena Johnson entitled 9ine. This album was a compilation of nine reggae songs recorded in nine days on the independent Shanachie label. Also in September 2013, Musiq Soulchild announced his departure from Atlantic Records and becoming an independent artist. He revealed he is now signed to record producer Warryn Campbell's label My Block Records. Musiq previously worked with Campbell on his first two albums on Atlantic - 2007's Luvanmusiq and 2008's OnMyRadio. He released an EP titled The Husel through DatPiff on July 30, 2014. In April 2016, he released his first independent solo album through My Block/E1 Music, Life on Earth. The lead single is "I Do". Shortly after, he moved to a new label, with eOne/SoulStar Music Company. In 2017, he released two new singles "Simple Things" and "Start Over" set for a new album titled Feel the Real due on September 15, 2017. He premiered music videos for the tracks in April 2017. Smif-N-Wessun's March 2019 album The All on the song "Ocean Drive. Soulchild has also appeared on the soundtrack to Tyler Perry's February 2007 movie Daddy's Little Girls. He also lent a song from his March 2007 album Luvanmusiq to the soundtrack for Perry's later movie Why Did I Get Married?, released October 2007. He then recorded a remake of Arrested Development's song "People Everyday" with British rapper and singer Estelle for the soundtrack to Tyler Perry's March 2008 Meet the Browns (film) entitled "People Everyday (Metamorphosis Mix)". He's guest starred as himself upon the UPN sitcom Half and Half in May 2004 and The CW comedy The Game in October 2007. On June 25, 2012, Musiq released a book on love and relationships entitled "143 - Love According To Musiq". Since 2009, he has been in a relationship with 702 singer Kameelah Williams. In August 2009, their son Zac was born. In October 2017, his daughter Satori Solaris Wright was born with Instagram Influencer Ashley "Tiyumba" Wright. Soulchild has two platinum as well as two gold albums altogether. He's as well been bestowed with awards from BET and the ASCAP among others. Soulchild has also received 13 Grammy nominations, including 3 for his 2007 album Luvanmusiq. ^ Brown, Tony. "Happy Birthday Noel Gourdin and Musiq Soulchild!". wdasfm.com. iHeartMedia, Inc. Retrieved 2015-12-26. ^ a b c d "Although known for laid back tracks, he's had a few uptempo tracks". AllMusic. Retrieved May 10, 2016. ^ a b c "Interview With JR Hutson". HitQuarters. 10 May 2010. Retrieved 12 May 2010. ^ Rucker, Jermaine. "Warryn Campbell signs Musiq Soulchild to My Block Inc". gospelbreak.com. Gospel Break. Retrieved 2014-09-14. ^ "VIDEO: MUSIQ SOULCHILD – I DO". thisisrnb.com. This Is RNB. Retrieved 2016-03-14. ^ "AllMusic: Musiq Soulchild - Feel the Real". AllMusic. Retrieved September 18, 2017. ^ "Musiq Soulchild Aims To "Start Over" On His Latest Single". Vibe.com. ^ "Musiq Soulchild Returns With Two New Videos 'Start Over' & 'Simple Things': Premiere". Billboard.com. ^ "Interpretations: Celebrating the Music of Earth, Wind and Fire - Overview". allmusic.com. Retrieved 23 June 2009. ^ "The Game: Fool Me Twice... I'm the Damn Fool". IMDB.com. ^ "Half and Half: The Big Fetish What You Started Episode". IMDB.com. ^ "Audio: Musiq Soulchild Talks About His Book "143 Love According to Musiq"". Okayplayer.com. ^ a b c "Musiq Soulchild Album & Song Chart History - Billboard 200". Billboard. Retrieved February 13, 2011. ^ a b c d "Musiq Soulchild Album & Song Chart History - R&B/Hip-Hop Albums". Billboard. Retrieved February 13, 2011. ^ "Musiq Soulchild (Top R&B Albums)". billboard.com. ^ "Musiq Soulchild (Top Independent Albums)". billboard.com. ^ a b c d "American certifications – Musiq". Recording Industry Association of America. Retrieved April 17, 2016. ^ "Musiq Soulchild Album & Song Chart History - Hot 100". Billboard. Retrieved April 26, 2016. ^ "Musiq Soulchild Album & Song Chart History - R&B/Hip-Hop Songs". Billboard. Retrieved April 26, 2016. ^ a b "2001 BET Awards Winners". BET.com. ^ a b "Musiq Soulchild". Grammy.com. ^ "2002 RHYTHM & SOUL MUSIC AWARDS". Ascap.com. ^ "2001 BET Awards". Billboard.com. ^ "2003 BET Awards Nominees". Billboard.com. ^ "2007 BET AWARDS". Awards and Winners.com. ^ "2009 BET Award winners". Screenertv.com. ^ "29th American Music Awards". Rock On The Net.com.